The first Pufferfish event of the season is kicking off August 18th at Lahaina Harbor. There will be huge giveaways all day, custom trophies, free lunch, prizes for all finalists and over $1000 in prize money at each event. All events are FREE TO ENTER! There are a new changes this year, with new age divisions and bigger prize money. 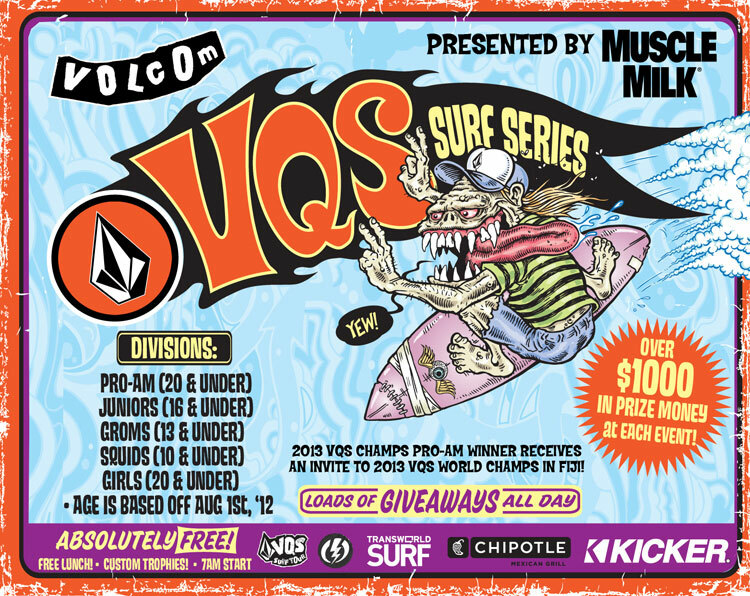 The Pro-am winner from 2013 USA Champs will also receive an all expense paid trip to Fiji to compete in the VQS World Champs against 7 other VQS Winners from (Australia, South Africa, Indo, Japan, Brazil, Europe, and Latin America)! Your division is determined by the age you are, as of August 1, 2012.